Botox is a well-known cosmetic treatment performed to remove fine lines and wrinkles from the face. In this process, the protein is injected into the skin, which blocks the signals that are being transmitted from nerves to muscles. Botox is a painful process because it is based on the aching injections. These injections are injected into the skin by using fine needles. People who can’t bear too much pain or have a fear of the needles of the injections may not like Botox. Botox is becoming a growing trend among the celebrities and the elite class. It’s too pricey for a mediocre class to afford it. The average cost of performing Botox in a single area is $466. The price varies from place to place. The treatment is also done for $100, but the injections used in this discounted treatment are low quality and can have mixed results. According to a report of Derma network, nearly all Botox injections leave bruises and soreness around the injected spots. In case the bruising becomes severe, the sufferer should seek medical aid as it is a symptom of infection. 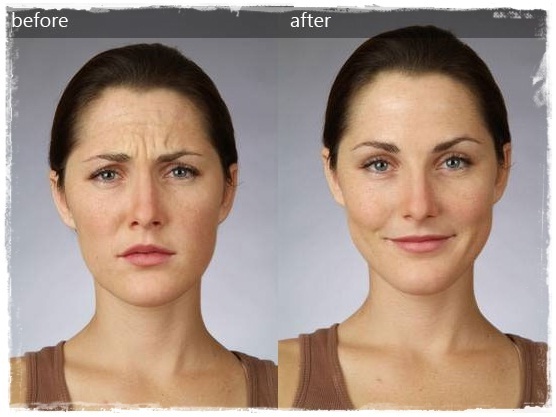 The effects of Botox have a very short life of about 7 to 8 months. And after that time limit, you have to go for another Botox treatment. That means you have to carry out this treatment again and again in order to get a younger looking skin. Moreover, with the passage of time, you have to increase the dosage of the injection that will cost you more. Only professionals can perform this treatment because in case the Botox is injected into the wrong points, it can cause drooling and numbness. The reactions do fade out, but that may take months. The bad part is that if the protein is injected close to your eyes, then you may experience drooping eyelids. Apart from these five disadvantages, there are a number of other side effects of Botox, including difficulty with swallowing, problem in closing the eyelids properly, dryness of eyes, bladder pain, urinary incontinence, vision problems, crooked smile, severe sweating, muscle cramps, depression, irritation of eyes, tooth cleaning, etc. According to a BBC report, the Botulinum toxin or Botox kills the person who uses it by causing respiratory malfunctioning. In addition, it ceases communication between muscles and nerves. If any lady is expecting, or planning to be pregnant, the FDA suggests that she should consult with her doctor before going for Botox, Xeomin, or Dysport. Some doctors are taking Botox as a money making machine. Maybe your doctor is trustworthy, but perhaps somewhere there is a doctor who may have no concern about what will be good for you. Moneymaking may be his first priority, because they are well-aware of the fact that everyone wants to look and feel young now a days. 6 Best Non-Surgical Facelift Procedures You Can Opt For Deciding on Joint Replacement Surgery How To Properly Protect Your Skin in the Winter Months Facing severe loss of elasticity in your skin? Can dermal fillers help?